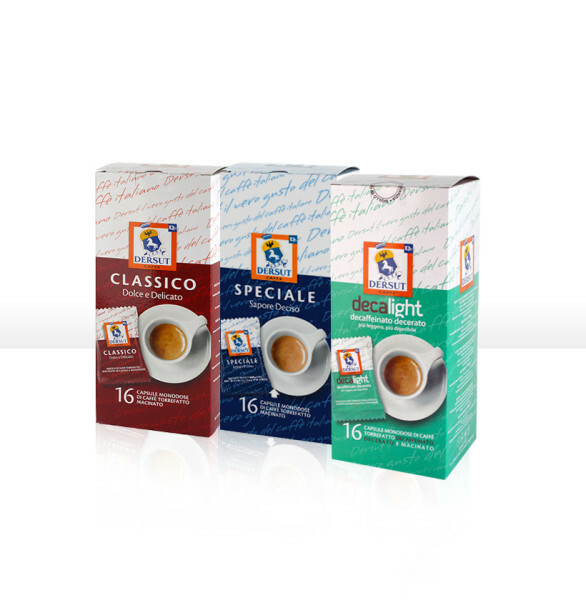 THE BEST ROASTED COFFEE BLENDS IN TINY PORTIONS. Pack of 10 x 5.5 g capsules. * NESPRESSO is a registered trademark of SOCIETÉ DES PRODUITS NESTLÉ S.A., DERSUT Caffè spa is an independent manufacturer connected neither directly nor indirectly with SOCIETÉ DES PRODUITS NESTLÉ S.A. 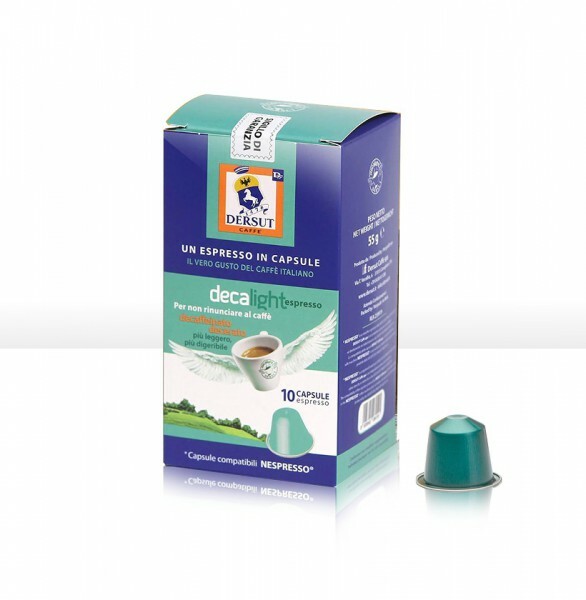 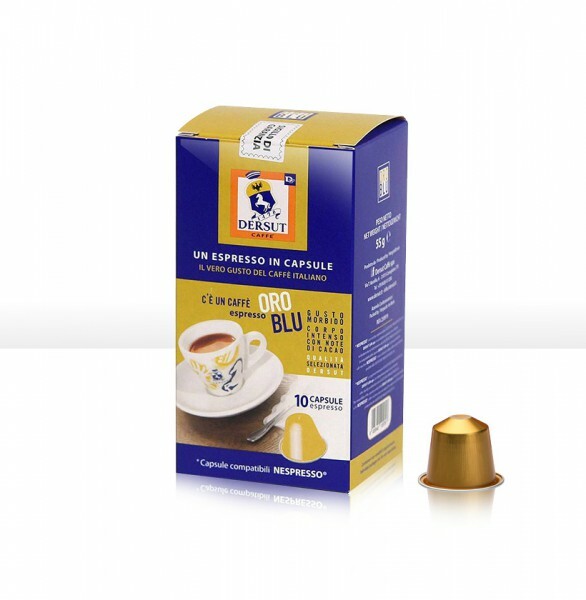 The compatibility of DERSUT Caffè spa capsules allows use in NESPRESSO machines and does not substitute use of original capsules produced by SOCIETÉ DES PRODUITS NESTLÉ S.A..